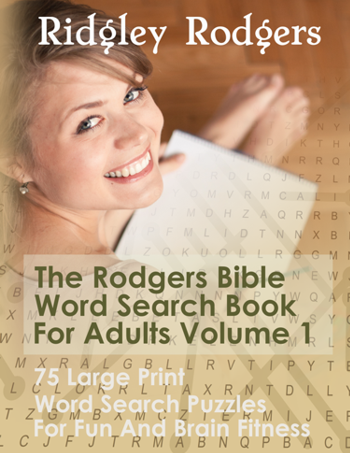 Each Word Search Puzzle in this book covers a different chapter or chapters from a Bible book, with words or phrases taken from the King James Version of the Bible. There are 75 puzzles with solutions in a larger-than-normal print format. Instructions are included for those who have never completed a Word Search puzzle before. If you enjoy solving puzzles, please take a look at Ridgley Rodgers’ other books: The Rodgers Word Search Book For Adults Volume 1, The Rodgers Word Search Book For Adults Volume 2 and The Rodgers Rebus Puzzle Book.